National Daisy Day is celebrated each year on the 28th of January all across the United States. Although not an “official” holiday, Daisy Day is a day set aside for celebrating the beauty of the daisy flower, as well as the innocence and cheerfulness it symbolizes. – The word ‘daisy’ is the Anglo Saxon version of “daes eage” which literally translated means “day’s eye.” The flower was given this name because it opens at dawn as the day begins. – Daisies are perennial flowers (they bloom yearly) and belong to the Daisy family of Compositae, now known as Asteraceae. – Native to central and northern Europe, the daisy flower is a mix of two flowers, the disk floret, which forms the center of the daisy, and the ray floret, which make up the petals. The two flowers are arranged in such a way that they give the impression of being a single flower; this is a type of inflorescence known as a capitulum. – In some regions, the Daisy is known as “thunderflower” because of the summer thunderstorms that occur during the flower’s peak blooming season. – Daisies, of which there are several species, make up nearly ten percent of all flowering plants on earth. While the common daisy is the one we’re most familiar with – a yellow center and white petals – the flower comes in several colors including red, yellow, and even purple. 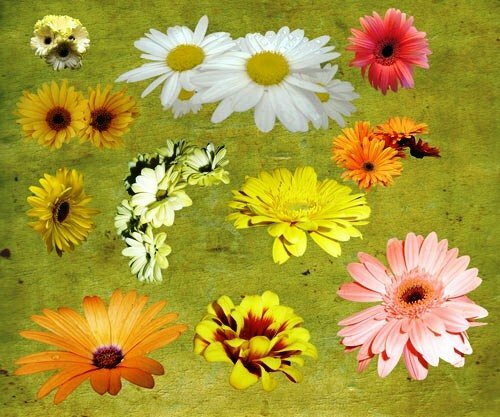 The most popular of the colorful daisies is most likely the Gerbera daisy (also known as the African daisy, Transvaal daisy, and Barberton daisy). With large colorful blooms and striking appearance, the Gerbera daisy stands apart from the daisy pack and has become the fifth most used cut flower in world; behind roses, carnations, chrysanthemums, and tulips. Did you know the daisy flower can be used when making honey and herbal teas, and that leaves of the daisy plant are often included in salads? In fact, the daisy family includes more than just the common one with white petals and a yellow center – the herbs arnica and Echinacea are daisies, as are edible plants like endive and artichokes! At some point in history, the common daisy was discovered to have astringent properties and has since been used in traditional medicines. Others daisies are known to have medicinal properties as well, and believed to help with indigestion, coughs, and even wound healing. On the farm, daisies come in handy as an important form of nutrition for cattle, as they are high in Vitamin C and other minerals. Daisies are considered hardy perennials and can be grown very easily from seed planted directly into the flowerbed. Start by choosing an area where your field of daisies will receive full sun and can grow undisturbed for a few years at least. Be sure to add a liberal amount of compost and manure on the site before planting to add richness to the soil and help with draining. 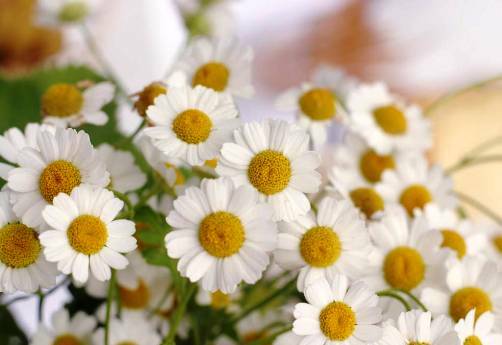 Plant your daisy seeds during a full sun about 9 to 12 inches apart and water the area regularly. Keep in mind, that if the daisies are planted in a spot that is too hot, they will need to be shaded and watered more often. In the early stages of growth, it’s a good idea to add a general purpose fertilizer to the plants, and then about once a month from there on out. If you live in a cold weather region, add a thick layer of mulch for protection during the winter months. In general, daisy plants are not bothered by disease or insects. Should such a problem arise, however, simply treat the problem areas with a fungicide or insecticidal soap. To enhance flowering and encourage the plants to produce big, bright blooms use a fertilizer high in phosphorous just before blooming. Happy National Daisy Day! How are you going to celebrate the daisy flower? This entry was posted on Monday, January 23rd, 2012 at 11:06 PM	and is filed under Misc.. Both comments and pings are currently closed.